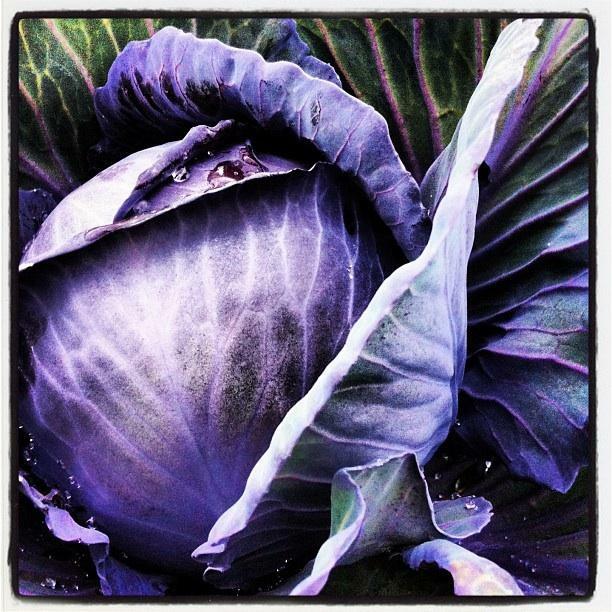 Credit Photo Courtesy of Emily Garrity, Twitter Creek Gardens. Farmer’s markets are going virtual. Soon Kenai Peninsula residents will be able to buy locally grown food online. The new marketplaces are called ‘Food Hubs’. There’s still snow outside, but Emily Garrity is prepping for the growing season inside her passive solar greenhouse on her small farm at the top of Ohlson Mountain just outside Homer. She’s made her own potting soil and she’s dropping seeds into wooden trays. 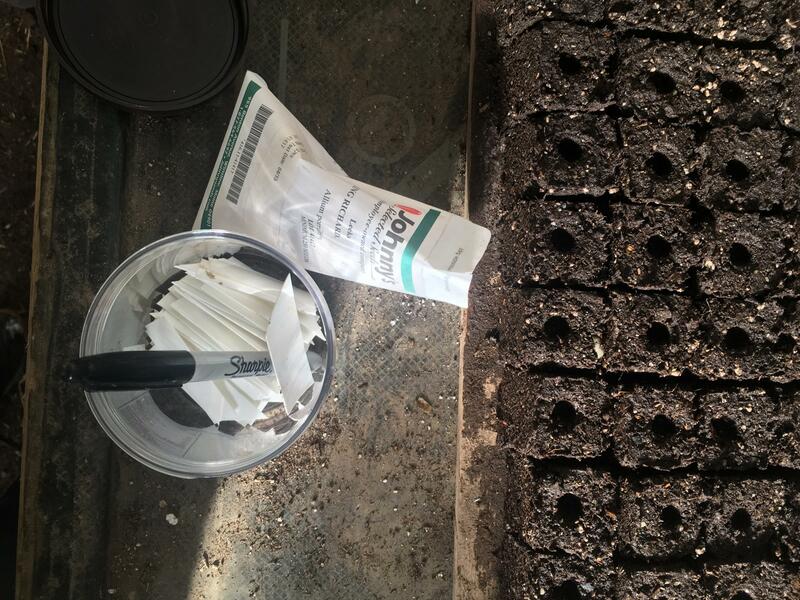 “Here I have all my seed organized by variety and there’s some King Richard leeks and I’ll just drop one or two seeds in every hole,” said Garrity. Emily Garrity peeks out from the door of her greenhouse at Twitter Creek Gardens on Ohlson Mountain outside Homer. For the past eight years she’s sold her produce through a community supported agriculture subscription, or CSA –where people pay a set amount for a box of food from her on a regular basis. She also has a stand at the Homer Farmer’s Market. But this year she’s trying something new, the Homer Food Hub. “You can think of the food hub as an online farmer’s market,” said Robbi Mixon, the Local Foods Coordinator for Cook Inletkeeper, which is hosting the website. Mixon knows a lot about farmers markets – she has run the one in Homer for five years. Now she’s helping set up the Food Hub website. “[We will have] Producers from growing produce to fish, we hope to include some crafts and possibly even some cottage food products like kimchis and breads,” said Mixon. 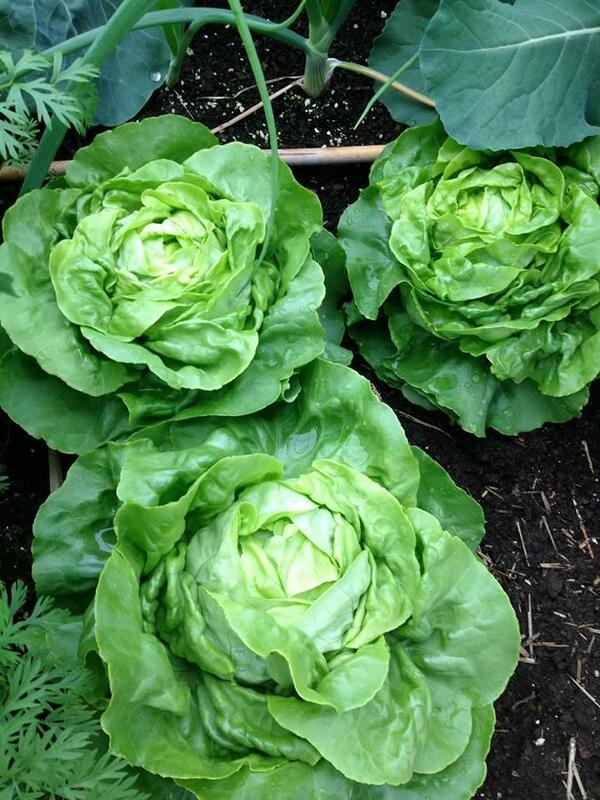 Emily Garrity started planting produce she plans to sell on the Homer Food Hub in March. Here’s how it works: producers will list what they have available for the week. Customers can then place orders and pay through the website. Then they can pick up their order at a fixed location at a set day and time. Mixon says communities on the peninsula have been kicking around the idea of an online farmers market for a few years, but after Cook Inletkeeper won a grant of around $89-thousand dollars from the U.S. Department of Agriculture to get it started, everything seemed to come together. Credit Photo Courtesy of Robbi Mixon. Rachel Lord who also works for Cook Inletkeeper as their Clean Water Program Director, wrote the grant that’s funding the project. The nonprofit is usually focused on protecting the Cook Inlet watershed, not running a market, but Lord says the project is in line with the organization’s values. Lord says that creating a ‘Food Hub’ fits with Cook Inletkeeper’s larger vision of a sustainable future for the region. “Most of our food is coming in from outside. It’s coming in through shipping channels and we’re pretty vulnerable. We also expend a lot of carbon in getting our food here.” said Lord. The Food Hub isn’t just going to be about fruits and vegetables. Hannah Heimbuch is a commercial fisherman. “I fish for halibut and salmon,” said Heimbuch. She’s also the Community Fisheries Organizer for the Alaska Marine Conservation Council. She says there are some challenges for fishermen to participate in the Hub She’s not sure how they’ll get their fish to customers. But she has ideas that may work. Credit Photo Courtesy of Holland Dotts & the Alaska Marine Conservation Council. “Maybe it will be that they’re able to offer a gilled and gutted whole fish from the deck of the vessel down at the harbor. Maybe we can connect customers through the food hub to that product. 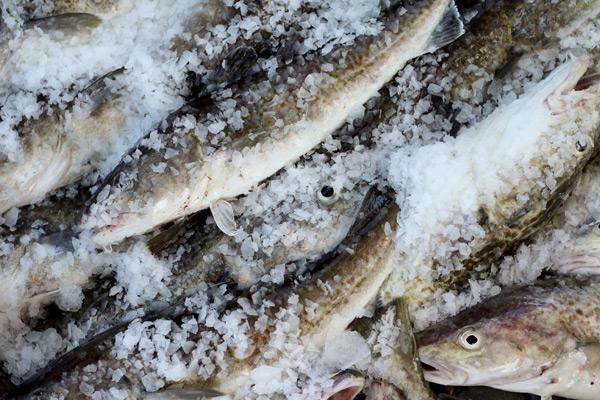 Some fishermen are able to go ahead and process and vacuum seal their fish and that’s another option that we could have available on the food hub,” said Heimbuch. Heimbuch says rockfish would make a great product along with salmon and halibut. In addition, she’s already working with local shellfish producers to bring oysters to the Hub. There will be one food hub for the Homer area and, Lord says, the central peninsula will also get one. Stephen Dahl runs 3-acre Eagle Glade Farm farm near Kenai where he and his wife grow specialty garlic and onions among other things. He usually sells produce at local farmers markets. But now he’s prepping to sell through the central peninsula Food Hub. He thinks the hub will be more affordable for shoppers and socially responsible. “In a way it will be more economical because it will be here. Instead of paying for food that was grown at some place with cheap labor and then paying for the shipping to send it all the way to some other place,” said Dahl. 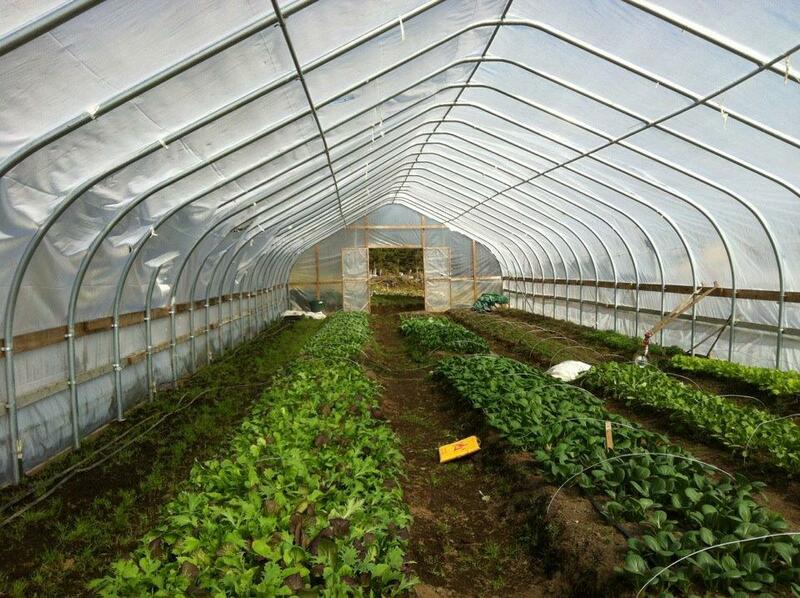 A high tunnel at Twitter Creek Farms. Credit Photo Courtesy of Kurtis Schoenberg. Back in Homer, Garrity agrees. She says she’s excited about the opportunity to capture a wider market for her products too. “I think in this day and age people are really used to online shopping and I think it’s a progressive way to get more people involved and make it easier get local foods and local products in peoples’ homes and on their tables,” said Garrity. 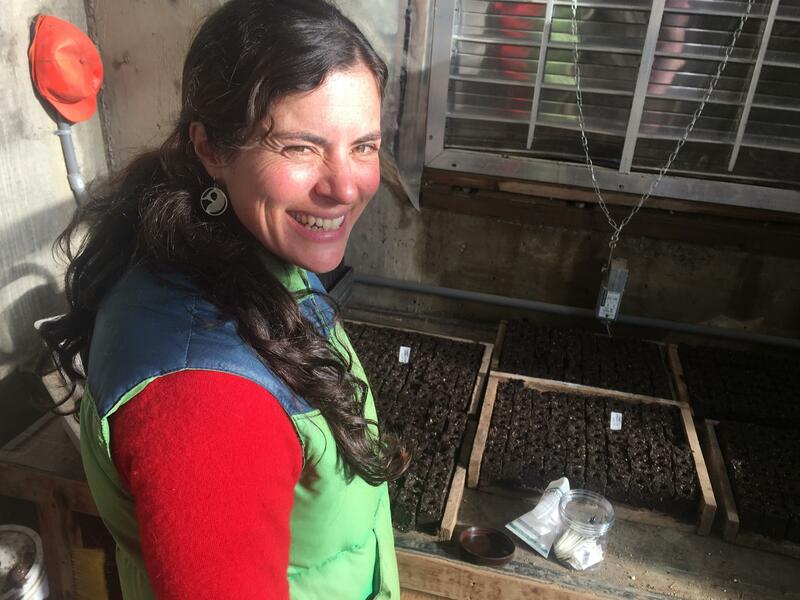 Emily Garrity planting seeds inside her greenhouse at Twitter Creek Gardens. She says she’s planting about 50 percent more this season to provide produce for the Homer Food Hub. Cook Inletkeeper officials say the Food Hub websites for both Homer and the Kenai/Soldotna area should be up in May.